Seattle Archives - Write for Wine: It's Wine O'Clock Somewhere!Write for Wine: It's Wine O'Clock Somewhere! Browne Family Vineyards opened a new tasting room in Seattle’s historic Pioneer Square in February, and kindly sent us some samples of their new rosé release and some Bordeaux-style red wines. Browne Family still has a tasting room and vineyard in Walla Walla, where they’ve been producing wine since 2005. 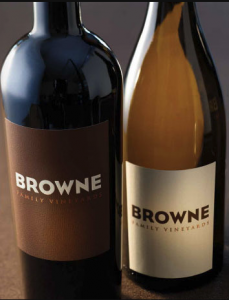 In addition, Browne Family creates two wines exclusively for one of our favorite Asian restaurants, P.F. Chang’s. We enjoyed their 2017 Grenache Rosé and the 2013 Klipsun Merlot at a media preview of Taste Washington last month, where we met Courtney Browne, proprietor with her husband and owner, Andrew Browne, who is also CEO of Precept Wine. Here are the wines we received and tasted. Whether you live in Washington state, Oregon or British Columbia, you’d better move quickly – tickets are going fast for the ninth annual Seattle Wine and Food Experience. If you like good wine, beer and food, mark your calendars for this taste explosion on Feb. 24-26. The activities kick off Feb. 24 with Pop! Bubbles & Seafood at McCaw Hall from 6-9 p.m., followed by Comfort on Feb. 25 at the Fremont Foundry from 5-8 p.m., and the popular Grand Tasting on Feb. 26 at Seattle Center Exhibition Hall from 1-5 p.m. — but once again there is a VIP experience, with a one-hour early entry. Pop! 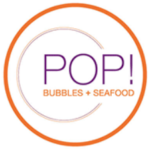 Bubbles & Seafood offers more than 30 sparkling wines from around the world, paired with delicious seafood prepared by local chefs. A wonderful Seattle experience! 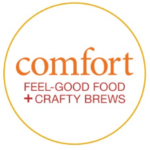 Comfort features comfort food such as mac and cheese and burgers, along with beer and cider. Oh, and did we mention a Fry Bar? How cool is that? The Grand Tasting is the largest of the three events, with 25 chefs, 100 wineries and dozens of beer, cider and spirits purveyors. You can find a full list of wineries that will be pouring, along with beer and cider and spirits, in addition to information about numerous restaurants serving gourmet bites. The event benefits Les Dames d’Escoffier Seattle, a philanthropic organization that provides scholarships and mentoring for women in the culinary, beverage, and hospitality industries. 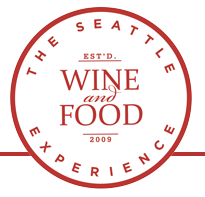 Tickets are available at the Seattle Wine and Food Experience website. So run, don’t walk to get your tickets! We hope to see you there. 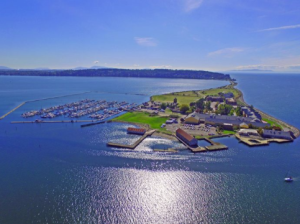 Semiahmoo Resort launched a unique wine club this month, targeted at wine aficionados in Washington state and British Columbia. The Oenophile Club features six wine tastings annually, plus reduced pricing for a number of events at the spectacular resort. Advanced notice of all vintner and winemaker dinner dates — including Spring Valley (July 28), Cakebread Cellars (Oct. 4), Stag’s Leap (Nov. 3) and more. See more details in our previous blog post. The annual cost is $225 — which works out to be less than $20 per month. So now you have an opportunity to support your local resort – and have fun doing it!